This is one of the most common questions I encounter mostly and it is normal because speed and power was always another great dilemma the angler had to choose and sacrifice on for the other. Before I say more about this very important chapter on shore jigging, I have to warn you that what you are about to read under those lines, is just my personal opinion that comes from my fishing needs and constant experience with this amazing technique. PG means Power Gear and is most commonly seen as PG on Shimano reels. 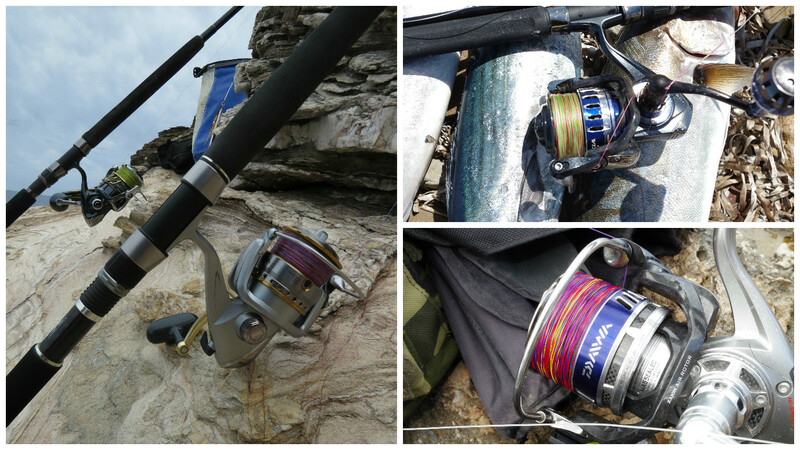 Other Reel Companies simply refer to them as the normal models. PG or normal winding ratio are reels with a Gear Ratio 4.5 to 5.5:1 that means that they perform 5.3 rotor turns, per every one full turn of the handle (Crank). They are known for their ability to twitch easily even a heavy jig to deep waters and drag a big fish simply by turning the handle. Lower winding speed means higher torque power and is simply based on the laws of gearing. Like the first gear in the car: Great power but low speed. 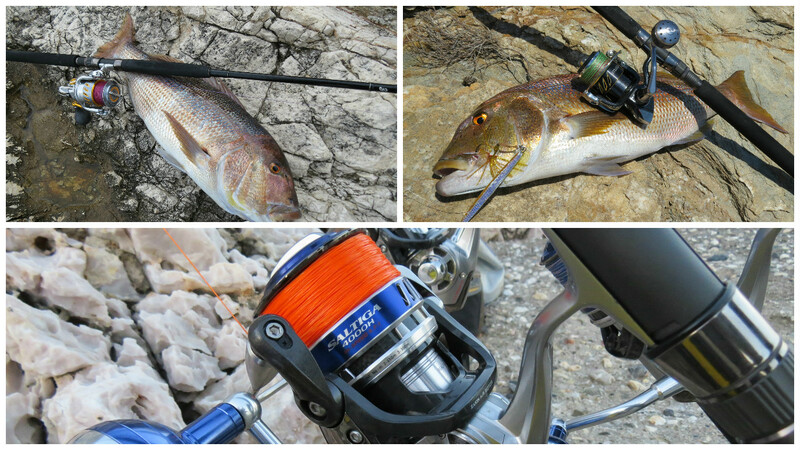 HG or H Means High speed Gear and is also most commonly seen on Shimano reels. Daiwas prefer to add an H after the size of the model like Saltiga 4500H in order to describe it. HG or High speed winding ratio are reels with a Gear Ratio 5.5 and higher that means that they perform for example 5.8 rotor turns, per every one full turn of the handle. They are known for their ability to retrieve more line per handle turn compared with the same PG or normal speed models, thus making them to be able to use lures and jigs more agile. A common confusion: What is actually a fast reel? There is quite a big misunderstanding about the speed of the rotor of the reel and its true character. For example a fast reel is considered to be fast simply because the rotor spins fast. Generally speaking yes, this is true but what it really concern us it the line retrieve that is inserting our spool per crank. If we create in our imagination a reel with a spool that has the diameter of a car wheel and a gear ration only 1:1 then this reel would retrieve maybe more than 1.5 meters per crank. Now we create another reel in our imagination that has a spool with a diameter of a Pepsi cola cap and has a gear ratio 10:1. This reel would retrieve probably 85cm per crank. So which one is the fastest reel? Engineering speaking the second one, retrieving speaking the first one. Now that we have cleared this lets go to what we need from our reel speed in shore jigging. As many of you have seen in my videos, I mostly use high gear reels. It is not a “just happened” and I guarantee you that I have used thoroughly both types, normal and high gear. 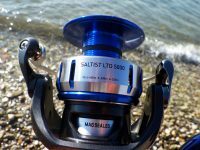 The truth is that normal gear makes the hard nature of Shore Jigging technique easier and when it comes to deep waters, the normal gearing make things less painful. High gear on the other hand has one big rule! The deeper you go the more you suffer! This is true and many of my cramps during fishing can guarantee you that. But I’m not crazy to use it although. High gearing gives me the opportunity to give sharper move on my jig in all circumstances, something that I have verified that makes the fish attack easier. We also must keep in mind that the more our spool gets empty on deep waters, when we reach the bottom a normal gear finally will retrieve less braid and this means it will give a more sluggish move to the jig. 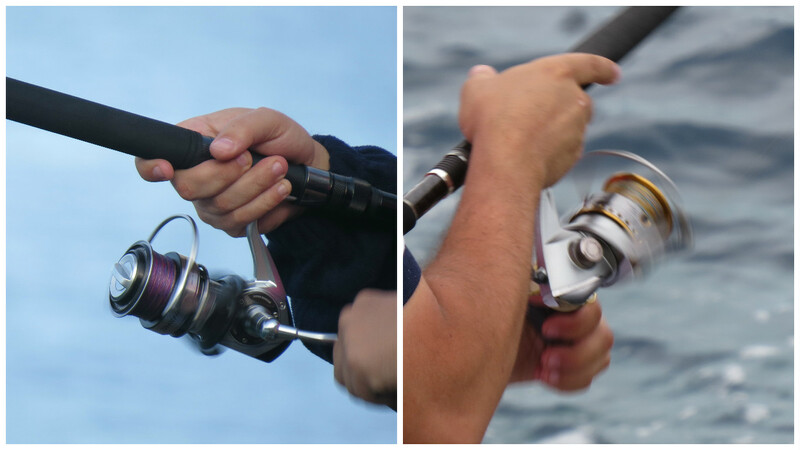 The high gear reel will retrieve more braid and give a “sharper” action to the jig. Another positive thing is that with a high gear reel, someone can expect a better and more technical control of the jig, since the loose braid during jigging is eliminating. Also some fish species on particular days like amberjacks, require ultra high jigging in order to strike, and days like those, people around me end up with no fish or one fish at all, when I got more that 6 to 10 successful strikes. 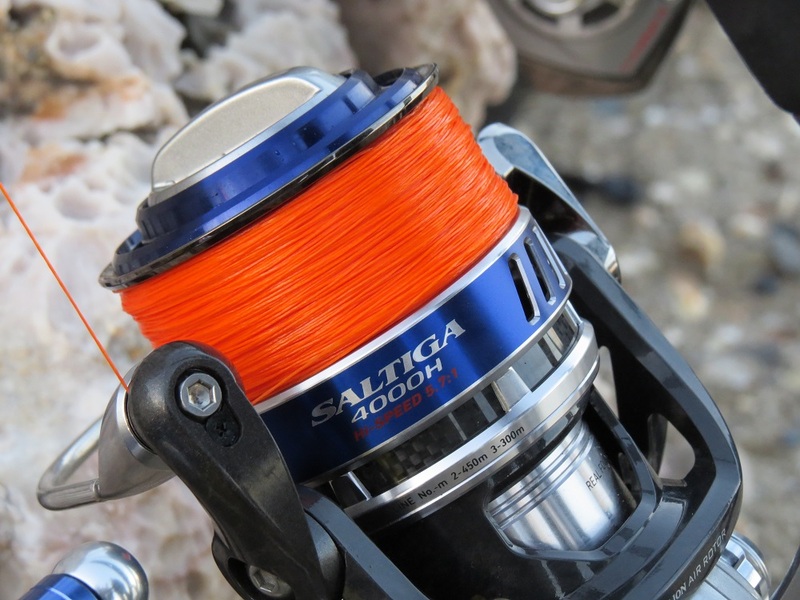 Going to other positive aspects of High Gear reels, is the fact that because of the speed of the rotor, the braid lies on the spool with more tense. This is super positive for us, especially on days with lateral or against wind that the braid makes a wind curve. Days like those (that are ideal for shore jigging) normal gearing reels usually have tangles and “bird nests” during casting while High gear reels perform flawlessly. Last but not least great aspect is that High gear reels that are normally for plug use, allow us to use plugs, poppers sinking pencils etc perfectly! 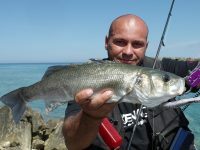 As for the dragging of the fish, no matter its size, the angler always retrieve line during “pumping” and not with the rod still so for me it does not make a difference if the reel is HG or PG. By now you have already understand why I’m using high gear reels. 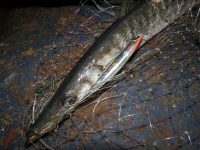 I know it is painful on deep waters with heavy jigs, but trust me when it comes to fish and conditions they are far more effective.